Money for Amarilla must have been tight, she was having trouble paying her taxes on her land. Based on gossip from the local paper both her and George Urton did not seem to be in good health. Amarilla apparently suffered a slight heart attack in 1936 and in the same article George was not doing to well either. In 1937 Amarilla got into trouble with some wood. Meets with Unfortunate Accident New Years: Mrs. George Urton had the misfortune of having a pile of wood fall on her on New Years Day. While in the basement gathering wood before building a fire, a stack of wood which had been piled to the ceiling fell on her, seriously cutting the back of her head and blacking her eye. A physician was called immediately to dress her wounds. She is recovering nicely. Pine River Journal January 7, 1937. Gordon MacDonald, grandson of Mrs. Urton, arrived Saturday from St. Paul, to be with Msr. Urton who suffered a stroke last week and is still quite ill. He returned to St. Paul, Monday. Mrs. Urton is being cared for by Mrs. Frank Shepard. Pine River Journal 21, April, 1939. She tried again for George Barclay’s Civil War pension and this time her grandson Gordon McDonald tried to help her. I actually think her friends rallied and made the attempt to get this pension for her. She had to fill out a Declaration for Remarried Widow’s Pension form again. The form was completed on 17 April, 1939. She was required to restate information about her marriage in 1878 to George Barclay, and write about her marriage to Jefferson S. Dawes in 1902 and their divorce in 1909. 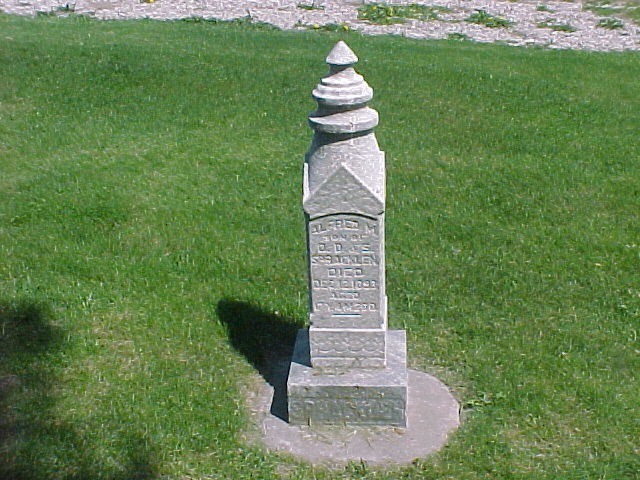 Lastly, she had to revisited her marriage to George Urton in 1919 and who died March 13, 1939 in Pine River. The form was signed by Ammarilla Urton and witnesses were Mrs. Frank Sheppard of Pine River and R.G. McDonald (Gordon) 1809 Marshall Ave. St. Paul, Min. She must have been very sick because she signed with an X. A letter on State of Minnesota Adjutant General’s Office letterhead for St. Paul dated April 19, 1939 was sent to E. L. Bailey the Director, Dependant’s Claims Service, Veterans Administration, Washington D.C.
Dear Sir: Herewith enclosed “Power of Attorney” given this office by Ammarilla Urton, Pine River, Minnesota, claimant in the above entitled claim fro Civil War widow’s pension. Mrs. Urton is eighty years of age and very sick and if her claim can be expedited in any way it will help her to take care of expenses. Also enclosed the following additional evidence 1) application for Remarried Civil War widow’s pension, 2) Coroner’s Inquest in the death of George Barclay 3) certified copy of public record of the marriage of Ammarilla Urton to the veteran, George A. Barclay July 27, 1878. Very truly yours E.A. Walsh, The Adjutant General. I spent some time trying to find a copy of this Legal act that they refer to and here it is. SEC. 2. That marriages, except such as are mentioned in section forty-seven hundred and five of the Revised Statutes shall be proven in pension cases to be legal marriages according to the law of the place where the parties resided at the time of marriage or at the time when the right to pension accrued; and the open and notorious adulterous cohabitation of a widow who is a pensioner shall operate to terminate her pension from the commencement of such cohabitation. It is the Sec. 2 part that was the reason they denied Amarilla the pension. The Claims Service signed the denial on May 5, 1939. Mrs. Bertha Robideau and Mrs. Alice Leef gave their affidavits but apparently that didn’t help. Amarilla was told she could repeal the decision after a year. George A. Barclay’s Civil War pension would not be awarded ever; however, the file would become very thick and has provided a great deal of information about George and Amarilla my great grandparents so I am happy. I am sad for her however. 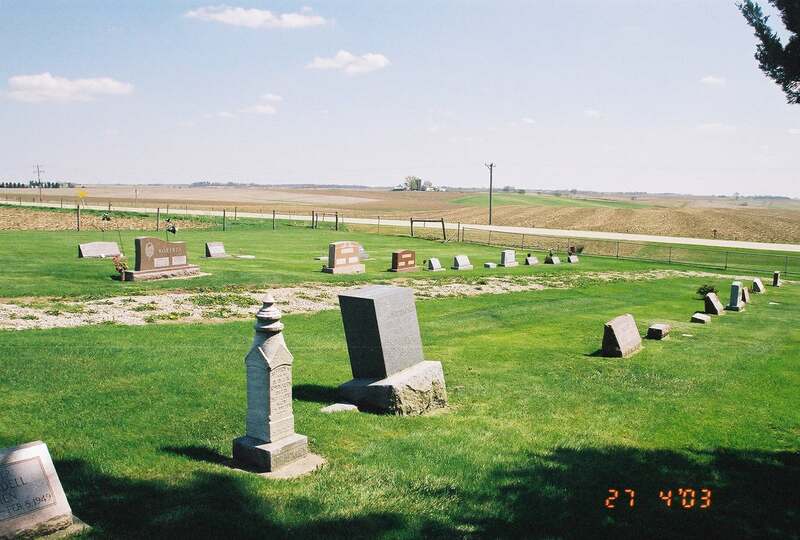 I had the good fortune to travel to Iowa in 2003 and visit the Community Cemetery near Millersburg, Iowa, where Daniel rests with his second wife Sarah and youngest son Alfred. I have shared about them and their burial in detail in my BJM Cemeteries Discovery blog and also on this blog. I encourage you to review those posts for more information. 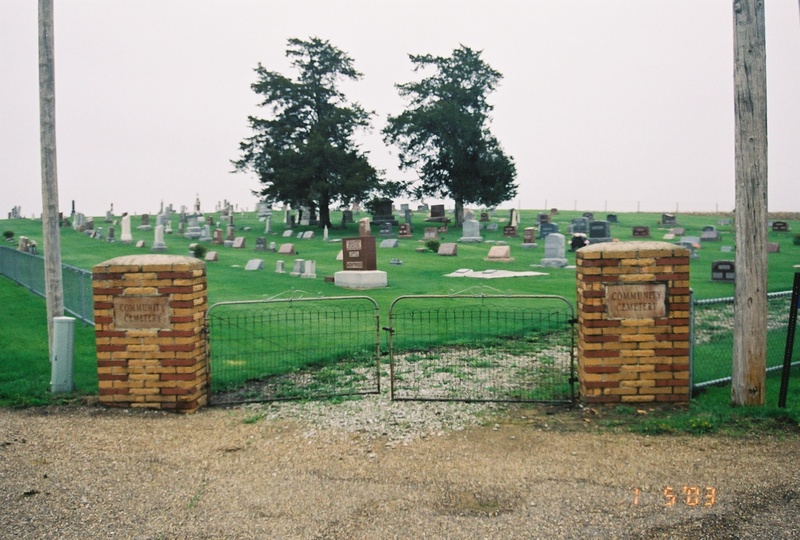 Here again are photos of the cemetery and their tombstones. Alfred is to the left of his parents. Before I leave Daniel D. Spracklin and share about his children, I want to address a dilemma. I have been unable to locate Daniel in the 1860 U.S. Census even after doing a page by page search for Benton County, Iowa. 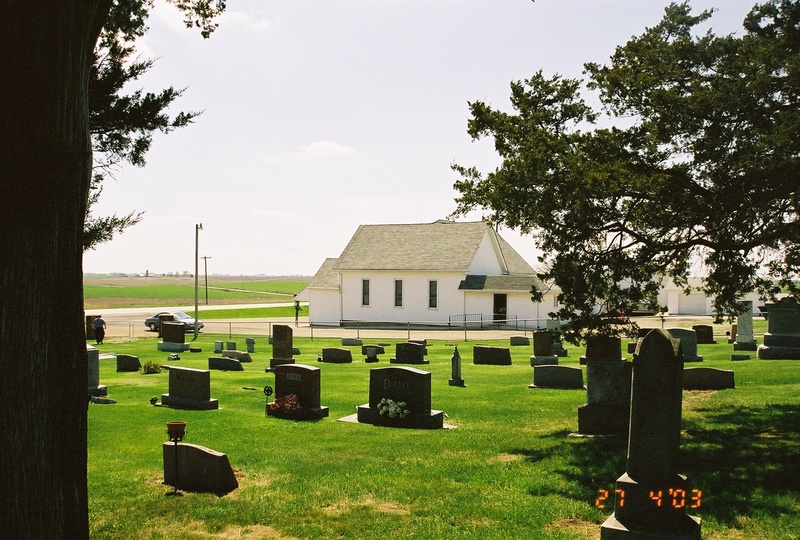 I find Henry, Mary and Amarilla his children living with other people in Benton Co., Iowa in 1860 and have shared about this in a past post. A cousin believes that Daniel mustered into the Civil War at that time and there is a document that exists with the name Daniel D. Spracklin listed being born in Ohio on this form. It does list him as unmarried but remember Elizabeth Keller Spracklin had died in March of 1859 so he was no longer married but a widow. Military Duty for Daniel D. Spracklin 1860. It reads: Comprises all persons subject to military duty between the ages of twenty and thirty-five years, and all unmarried persons subject to military duty above the ages of thirty-five years and forty-five. Class two comprises of all other persons subject to military duty. 4th Congressional District consisting of the counties of Tama, Benton, Jasper, Iowa, Johnson, Marion and Mahaska and Keokuk, Monroe, Wappello, Appanoose. Enumerated June, July 1863 under the direction of Capt. James Mathews, Provost Marshall. 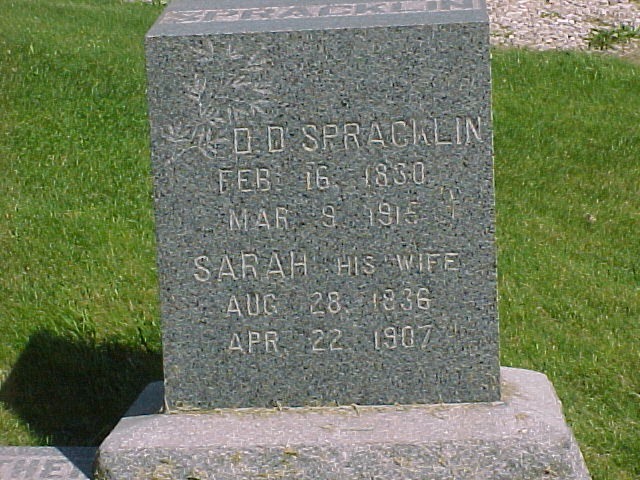 Washington Twp., Iowa Co., Spracklin, Daniel D. 33 years old, White, Steam Saw Miller, unmarried, born Ohio, Station Headquarters 4th Congressional District Iowa, August 5, 1863, #590. 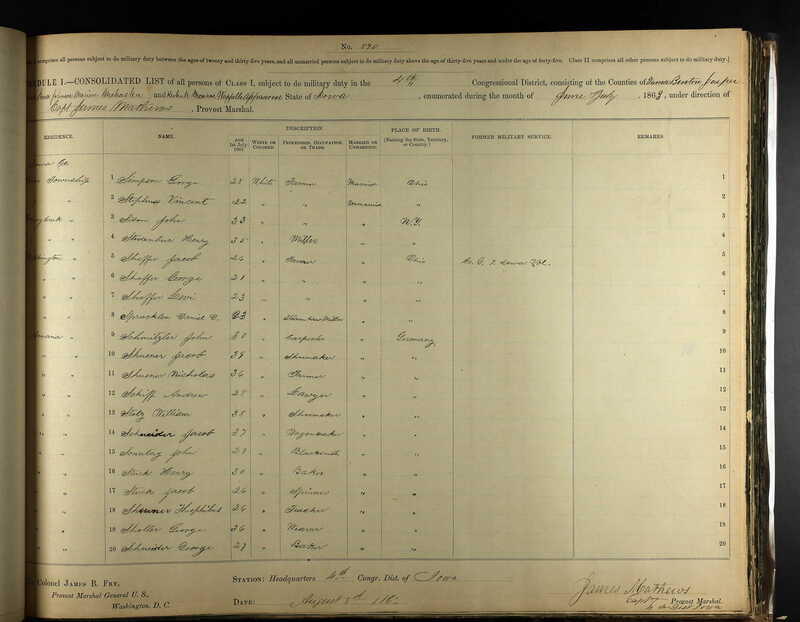 This record is at Ancestry under: U.S. Civil War Draft Registrations, 1863 to 1865. His brother Solomon Goss Spracklin is also listed as having served. There are several Charles Algood’s listed and I am thinking that one of these might be Sarah’s first husband. I have not been able to learn much about his fate.